Did you experience the glory days of psychedelic rock? Well even if you didn’t, you will probably have heard of this legendary style of music. The psychedelic guitar straps from Overdrive Straps pay homage to this inspirational music genre and distinguish themselves with colourful, psychedelic prints. Our psychedelic guitar straps may be a tribute to the past but their unique style also matches perfectly with contemporary artists. 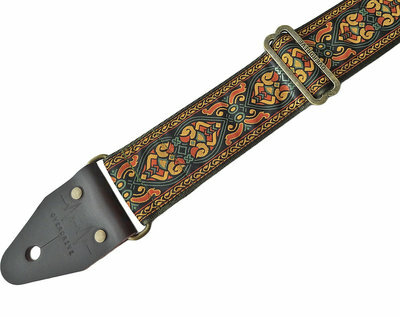 This explains the increasing popularity of these guitar straps in our webshop assortment. Like all our other guitar straps, our handmade psychedelic guitar straps stand out through their excellent durability and unique character. 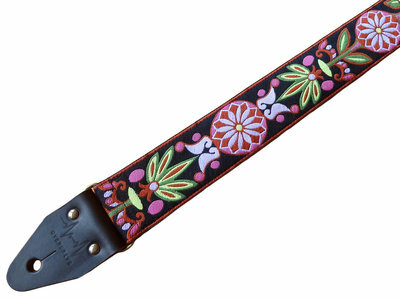 A psychedelic guitar strap should of course suit your identity as a guitarist. 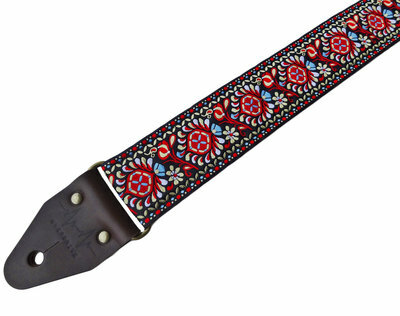 The colourful patterns of psychedelic guitar straps are not to everyone’s taste. In that case you can simply choose a suitable alternative such as our unprinted solid seatbelt guitar straps or leather guitar straps. 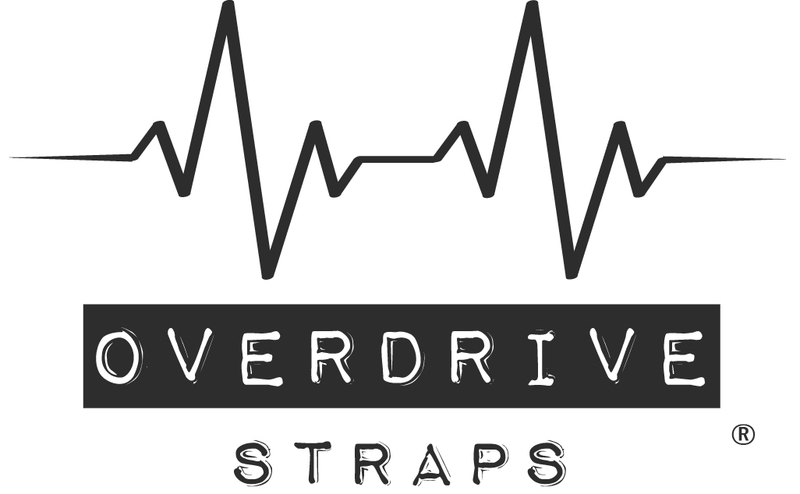 The webshop of Overdrive Straps offers a wide choice of cool guitar straps in all types and colors. 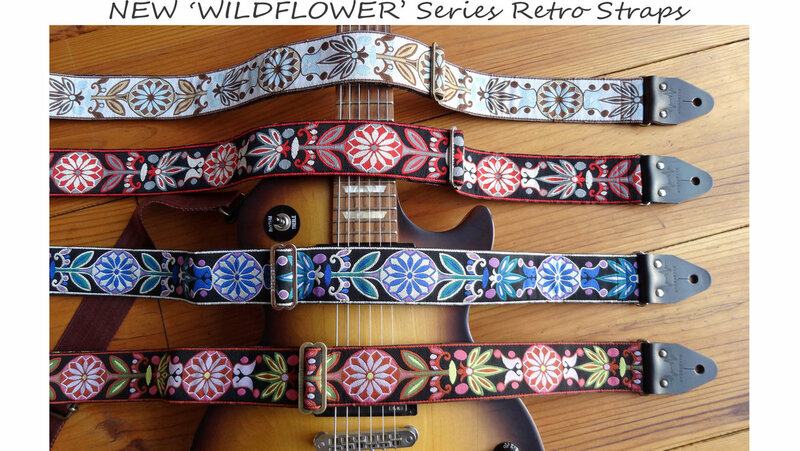 Whichever psychedelic guitar strap takes your fancy, it is sure to stand out! 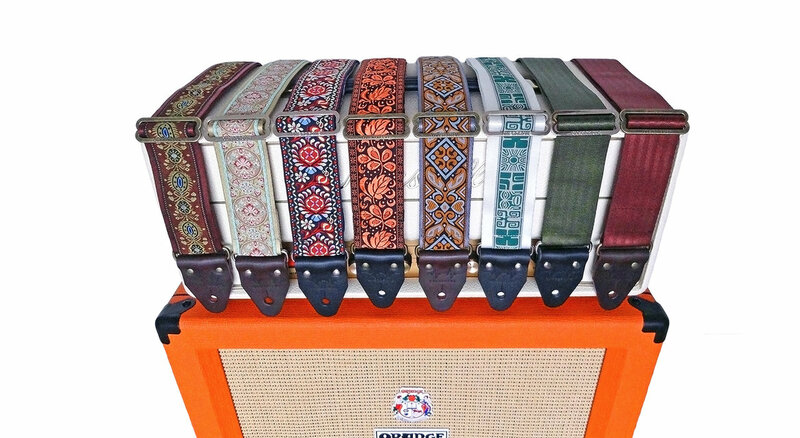 Did you know that you can entirely customise all the guitar straps on our website? You can choose for yourself, among other things, the leather and hardware colour, length, hole size and seatbelt or leather colour of your guitar strap. This increases the chance of nobody having the same guitar strap as you! Although the appearance of psychedelic guitar straps is of course an important factor, you want your guitar strap to meet more requirements. You will probably want a guitar strap that is comfortable and won't break in any circumstances. This is essential so as not to lose your concentration during, for example, a complex solo on your electric guitar ofcourse! The psychedelic guitar straps from Overdrive Straps are handmade to ensure maximum control over the quality of the end product while offering optimal comfort. 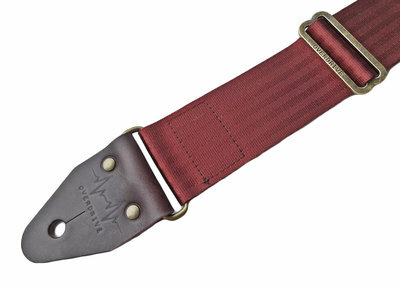 All our guitar straps are made from high-quality underlaying materials such as robust safety belt materials or strong leather and heavy duty hardware. This ensures a life long pal for you and your guitar! Are you the lucky owner of a beautiful guitar? Then it is of course a shame to use a guitar strap of poor quality. Overdrive Straps offers the best handmade guitar straps against very competitive prices. Our webshop contains a wide range of guitar gear from modern seatbelt guitar straps, tough full leather guitar straps, to vintage classic retro guitar straps.